The original Pokemon movie is returning to 200 theaters for two special screenings. The Pokemon Company announced that Pokemon: The First Movie will return to select Cinemark theaters in the United States on October 29th and November 1st. 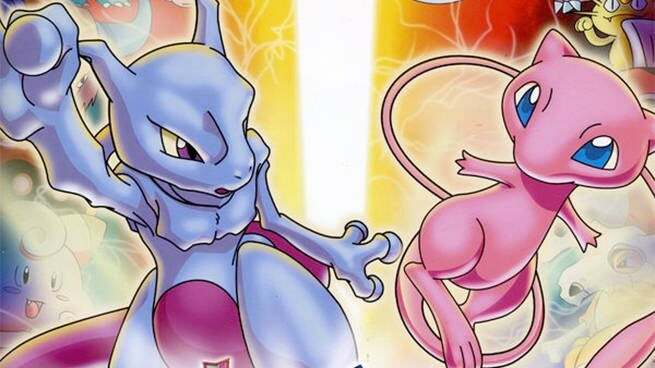 As its title suggests, Pokemon: The First Movie was the first feature length Pokemon movie and starred Ash and Pikachu in their epic confrontation with the Legendary Pokemon Mewtwo. Millions of young Pokemon fans probably still tear up at the memory of Pikachu's unsuccessfully trying to shock Ash back to life after he was petrified by accident by Mewtwo's attack. That climactic scene spawned the "crying Pikachu" gif, the saddest gif to ever appear on the Internet. The new Cinemark screenings will also include "Pikachu's Vacation", a special short that accompanied Pokemon: The First Movie featuring Pikachu, Togepi, Bulbasaur, and Squirtle competing with a gang of Pokemon bullies at a Pokemon park. The movie and the accompanying shorts marked the official first appearances of Marill, Snubbull, and Donphan. Pokemon: The First Movie hit theaters at the peak of Pokemon's first wave of popularity. Despite almost universally bad reviews, the movie made over $160 million in ticket sales during its first run in theaters. Tickets for the screenings will be $5 a piece. There's only a limited number of theaters getting the movie, so check this page to see if the movie is coming to a theater near you.